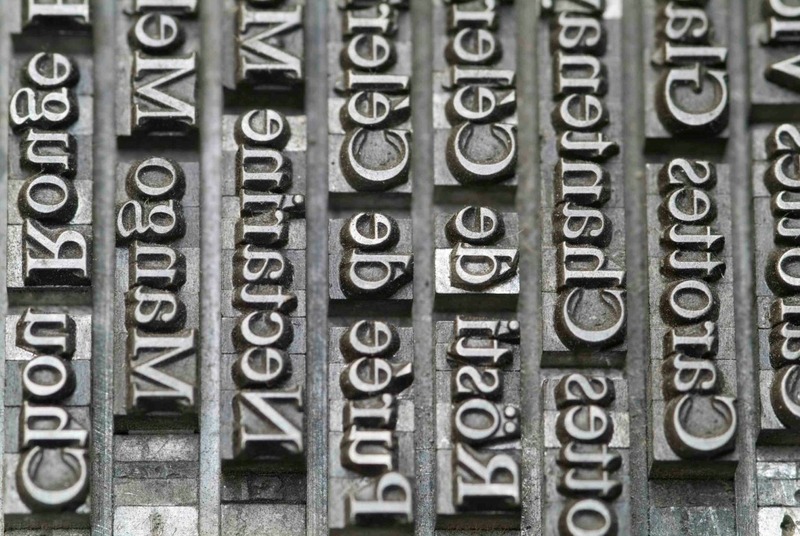 Invented by Johannes Gutenberg in the mid-15th century, letterpress printing involves the use of movable type or a fixed printing plate where the raised, reversed image is inked and then stamped onto paper to obtain a positive, right-reading image. It was the standard of printing books and other publications until the mid 20th Century. 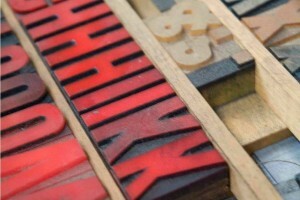 Letterpress has recently seen a resurgence in its popularity with many designers and individuals looking to replicate the artisan finish of this timeless process. 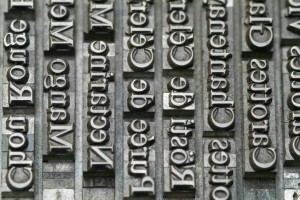 The labour-intensive nature of traditional letterpress printing using hand-set wooden or metallic type has meant it is rather inefficient for a modern day industrial operation. 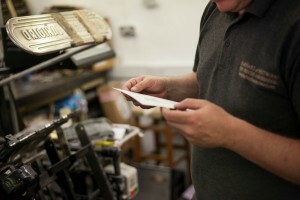 As a result, many printers offering letterpress printing services now use photopolymer plates. These plates are much more affordable and can be made using text and artwork taken directly from digital files. Although not as hard-wearing as traditional metal type, the plates will still withstand several thousand impressions (depending on the pressure being applied and the intricacy of the design) which makes them absolutely perfect for the run sizes that we specialise in at Barnard & Westwood. The most common form of impression when Letterpress printing is to ensure that the ink simply ‘kisses’ the paper, leaving no discernible bruising on the reverse of the material while ensuring an even finish. 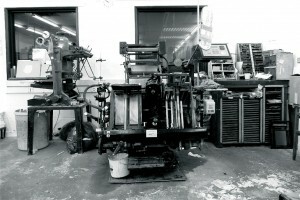 However, depending on the paper stock and artwork required for printing we are also often able to apply slightly more pressure to the process, thus leaving more of an indentation in the artwork. This subtle textural difference can be exactly what is needed to give elaborate invitations and event stationery that little ‘je ne sais quoi’. 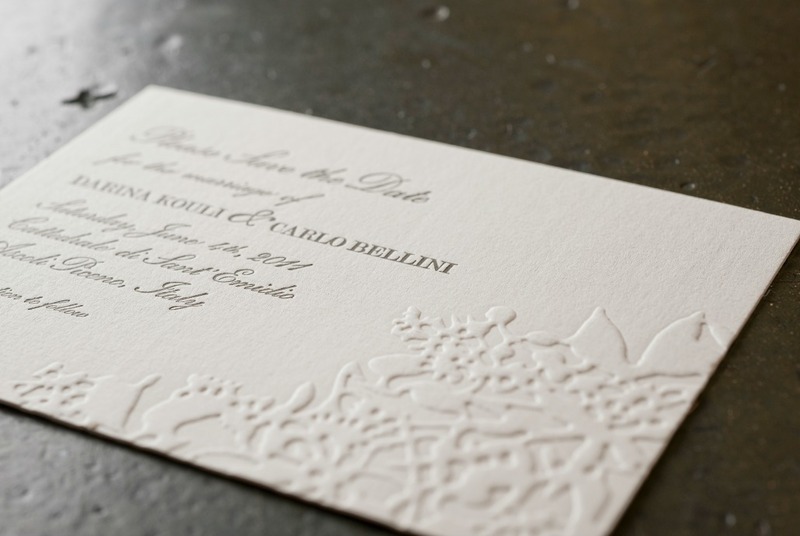 Given the unique finish achievable through letterpress, this form has always been very popular for Wedding invitations and stationery. When paired with a slightly higher pressure this can subtly distort the finish giving way to a very original piece of stationery that will certainly stand out from the crowd! If you are looking for a deep impression from your letterpress printed stationery the best option is to use a high-cotton content paper. These papers are notoriously soft and thick and are much easier to create the impression in.